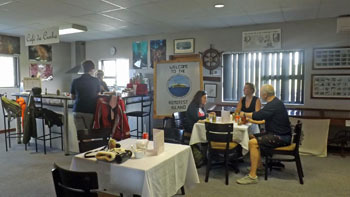 News and photos of cruise ship visits to the world's most remote community during the 2013/2014 season. 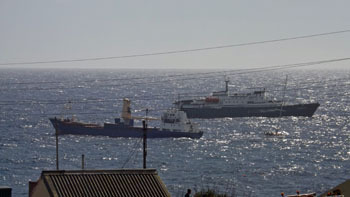 On Thursday 10th April MV Plancius arrived from the Falkland Islands. She was due a week earlier but unfortunately a visitor onboard met with an accident so the ship diverted for the medevac to receive treatment. 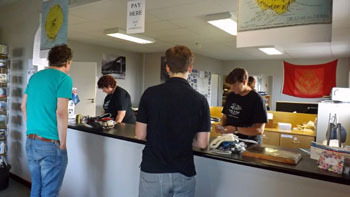 The weather was not suitable on arrival so visitors could not be disembarked. 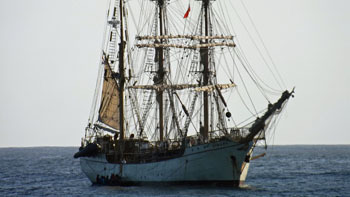 Friday winds were still very strong so the ship did a cruise around Tristan and the outer islands. 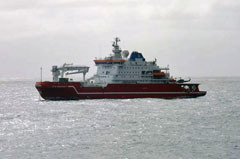 (left) and the yacht Diel (right) in front. 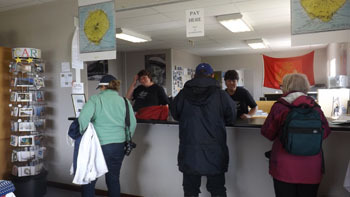 Fortunately weather was favourable on Saturday and visitors disembarked for the day. On landing they met with a lovely Tristan rain shower, but they were not to be deterred. 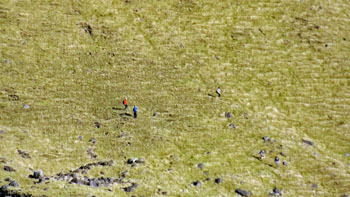 After receiving a map of the Settlement they started on their walking tours of the 1961 Volcano and the Potato Patches. A Novelty Tractor ride around the settlement and a bus tour to the Potato Patches was enjoyed later on in the day. This was ended off with a round on the Golf Course and a visit to the Traditional Thatched House Museum. 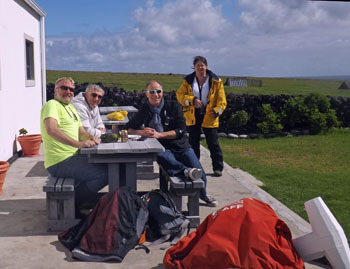 The day, although sunny, was slightly cold, so coffee, beer and lobster sandwiches were enjoyed by all. When the sun came out beer was enjoyed and when the weather turned the coffee was enjoyed. Everyone departed Calshot Harbour at 6pm along with island guides in the hope of a trip to Nightingale Island the next day. 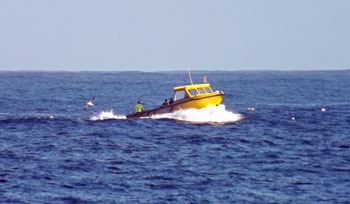 Luck was with us and Sunday 13th dawned calm and sunny and a landing was made on Nightingale Island. 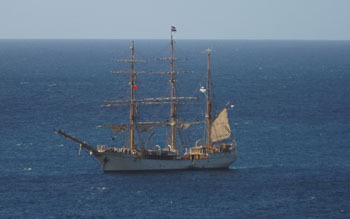 After the day ashore the ship dropped the local guides back at Tristan early evening. 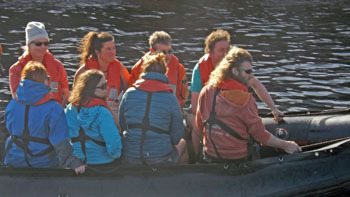 We hope Plancius visitors enjoyed their stay with us, we certainly enjoyed having them. 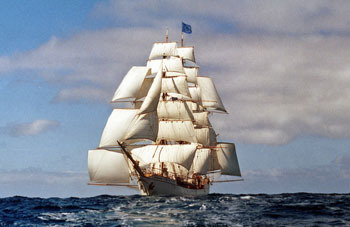 as the Barque Europa as it is indeed a 'barque'. 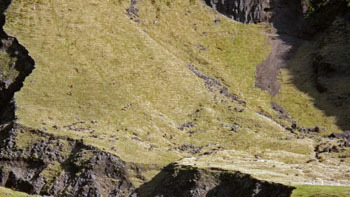 that you may like to visit. 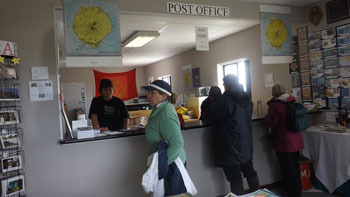 The Bark Europa arrived at 2.30pm on Friday 28th March in beautiful weather and nineteen visitors landed for the afternoon. 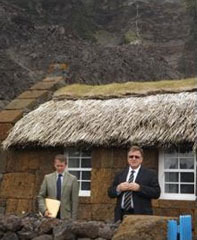 Some went on a tour of the Traditional Thatched House Museum and St Mary’s School. Others explored on their own enjoying the sunny weather. 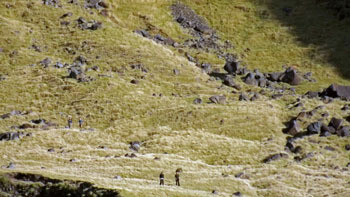 Saturday was a crisp clear day and nine visitors landed and walked to Queen Mary’s Peak. Two other passengers were picked up directly from the ship and enjoyed the day deep water fishing, where they landed some very big fish. 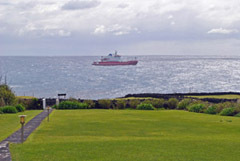 The remainder disembarked and went on a walking tour of the Settlement, beach fishing at Runaway Beach, played golf and explored the island at their leisure. 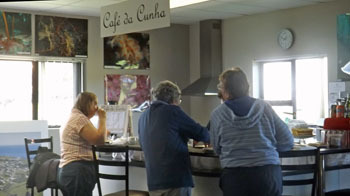 Sunday 30th March was yet another calm day but rainy, visitors disembarked to attend Church and did a tour of the Fishing Factory. 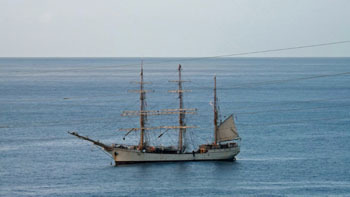 Everyone was back onboard by 2pm and the Europa set sail for St Helena. 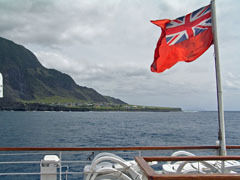 and the pinnacle of achievement for a cruise ship visitor to Tristan da Cunha! and led by a choir of two (right) from the ship. The Novelty Tractor ride returns passengers to Calshot Harbour down Puma Road (left), the last RIB leaves the harbour (centre) and heads off to the waiting ship before proceeding to Nightingale Island in the afternoon. 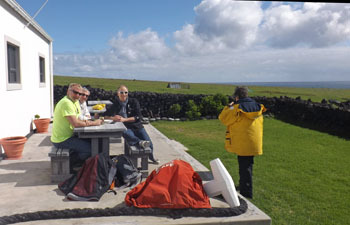 Alex and his wife Hasene accompanied passengers aboard MS Bremen over to Nightingale Island leaving Tristan at 12.30 and arriving about 14.00 when they took the first Zodiac ashore. 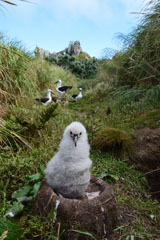 The Tristan guides to Nightingale Island were Head of Conservation Department Trevor Glass with his team of, Simon Glass, Wayne Swain, Leon Glass, Matthew Green, George Repetto, Julian Repetto, Jerry Green, Neil Swain and Jack Green. 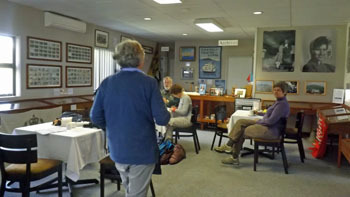 Conrad Glass, Emma Swain, Paula Swain, Iris Green, Tina Glass and Donna Green also went aboard to sell handicrafts, stamps and books. The cruise ship returned to Tristan at 20.00 and Alex and Hasene, like Islanders who went to Nightingale, then prepared for Midnight Mass having been up that morning before dawn. 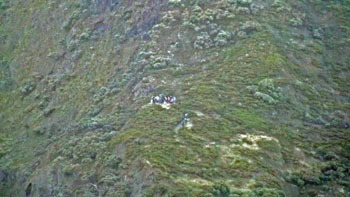 Over 100 people were able to get ashore, and they were able to see seals, penguins, Starchies and Mollies. All went away very happy. The cruise was expensive with passengers paying between £13,000 and £20,000 each. The captain and all the crew could not have been more welcoming and generous. The island is looking forward to welcoming them back again. and behind three adult birds. for reports and more photos.